Jakarta Library and Archives Dept. (Dispusip) brings up 'Green Literacy' theme for several activities held in January 2019.
" We want to invite many communities to do their activities in Jakarta Dispusip's libraries"
Jakarta Dispusip's Deposits, Collection Development, Services and Conservation Division Head, Jeje Nurjaman conveyed, this theme will be used in workshops, including in storytelling event. "Green Literacy is chosen as our theme in January since it is in conjunction with One Million Trees Movement and Indonesian National Nutrition Day," he explained, Thursday (1/10). This month, his side will hold urban farming workshop and literary tourism related to living environment using library collections as its basis. Related to these activities, Dispusip opens cooperation with communities who have an interest in environmental issues. "We want to invite many communities to do their activities in Jakarta Dispusip's libraries," he expressed. 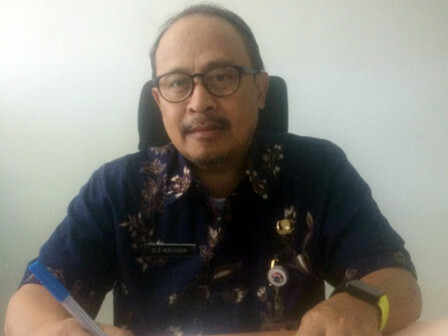 One of Jakarta Dispusip's librarian named Gigih Primada Leogusta hopes, this thematic activity can attract more people to visit libraries and use its facilities. "Library can be an alternative destination for urban people to enjoy their free time while gaining new knowledge," he conveyed.